A 15-cm segment of ileum is selected with care to spare the distal 15-20 cm proximal to the ileocecal junction. The efferent limb should reach the abdominal wall corresponding to the previously marked stoma site without undue tension or mesenteric kinking. 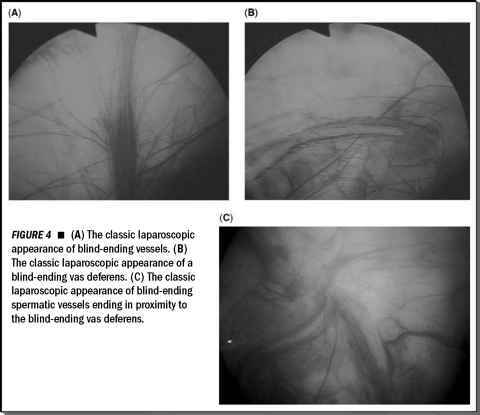 The segment of bowel is isolated with an endoscopic GIA stapler by transecting proximally and distally. The mesentery is divided below these areas with care to preserve the major mesenteric vasculature. Endoscopic staplers, the harmonic scalpel, or serial application of laparoscopic clips can be used to transect the mesentery with complete hemostasis. The isolated segment is dropped posteriorly.